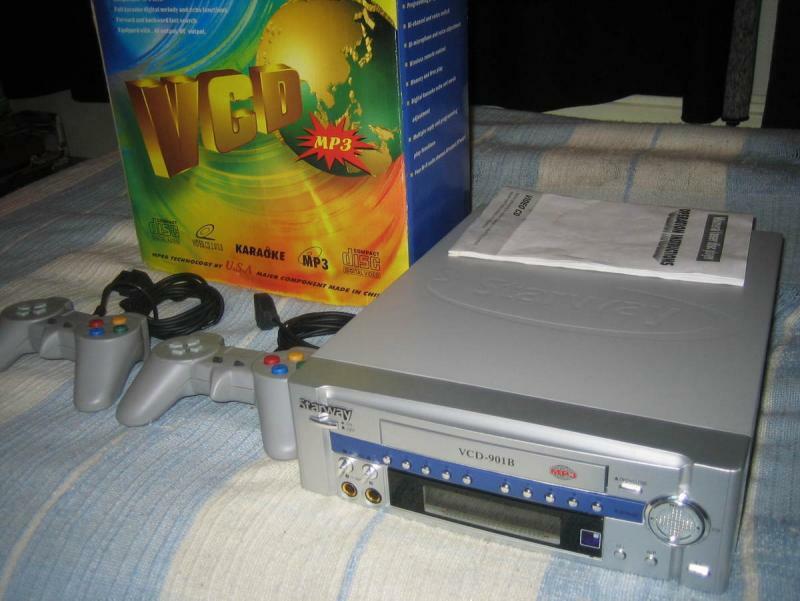 Just bought unknown gaming machine. It cost me a 10€ and I bought from online second hand store, because I can't found any info about it. So I haven't get it yet. What it could be? 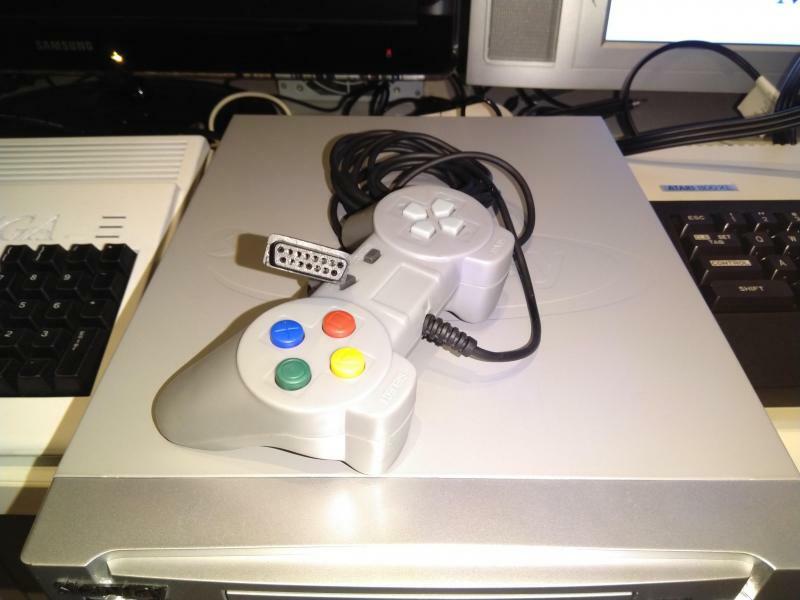 Some kind of late Famicon clone? I do'nt see any mention of a video game type on it. My best guess would be games on VCD, kinda like Philips CD-i. 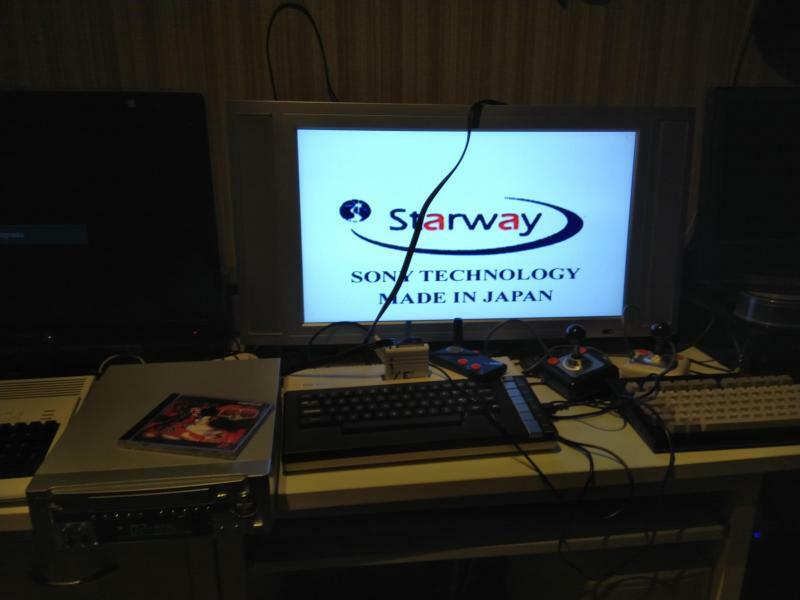 It might even be CD-i compatible as yes, some Chinese makers have been including CD-i compatibility in their machines (some spotted being able to play CD-i as late as 2012!). Another possibility is, if you have a disc provided with it, that as you supposed, it come with a Famicom emulator that play ROMS from a disk. I've seen a few of those as well. Edited by CatPix, Mon Mar 4, 2019 4:21 PM. I'm digging you got me curious. So far I got this through google translation. I don't think it's for gaming, just other forums of music and video entertainment. Why would it have controllers if it wasn't for gaming? Are any of these CD-I clones of decent quality and/or easily obtainable? There was a list on the World of CD-i site, but it's down for now. They are apparently decent, but I don't think they come with controllers (and may not even feature controller ports for some of them). On the other hand, they are interesting since the most recent come with a larger memory chip that is Flash and not battery backed. Also, the Chinese manufacturers might not even list CD-i in the list of compatible stuff so it's very hit and miss, and more miss than hit. Thanks. I have mild curiosity in the CDi department. That is excat same machine I bought 10€. Edited by utri007, Tue Mar 5, 2019 3:39 AM. This one doesn't have a remote, wich is needed with game menus in article. Though article machine doesn't seems to have buttons like this have. It doesn't have game disk either, I ques I need to dig it from internet. But maybe I should wait until I get it, it migh be something else. What was the site ? Have you ever heard of "way back machine " ? This site rocks if your trying to find older info or a site that has been down for YEARS or even a few months. It takes a full snapshot of websites and has been doing it for a LONG time. Edited by TheCoolDave, Thu Mar 7, 2019 7:33 AM. Even when my machine look totally different, it seems to be same machine. Game controllers has these kind of connectors, anyone know about these? Edited by utri007, Thu Mar 7, 2019 4:35 PM. That connector is an industrial standard. Even if I doubt it's pin-to-pin compatible, but who knows? It's not compatible with Famicom, but a much simpler wiring where each pin is one button. 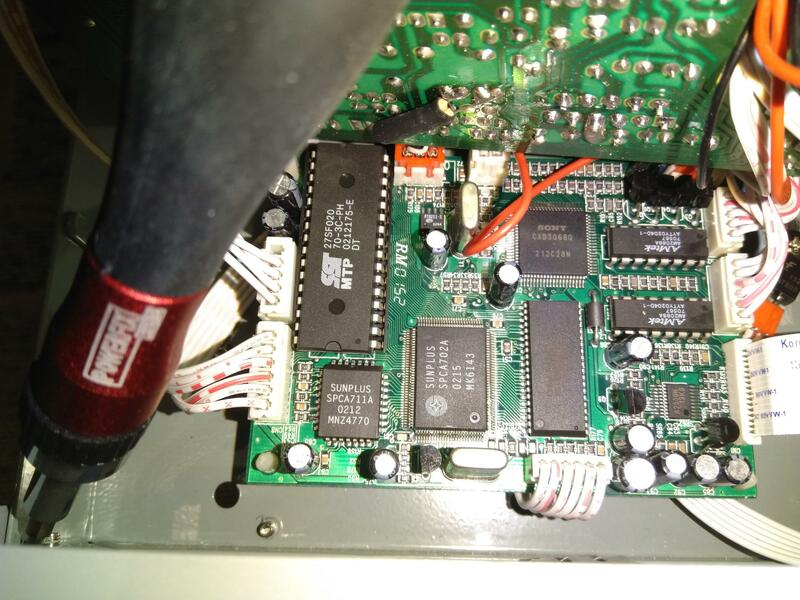 Famicom and SNES use a serial interface instead with less pins. The Famicom connector can allow 2 players if I remember correctly. Edited by Newsdee, Fri Mar 8, 2019 4:00 AM. Most of the time those clones use a proprietary standard, mostly because the extra buttons on the pad are mapped as turbo buttons. 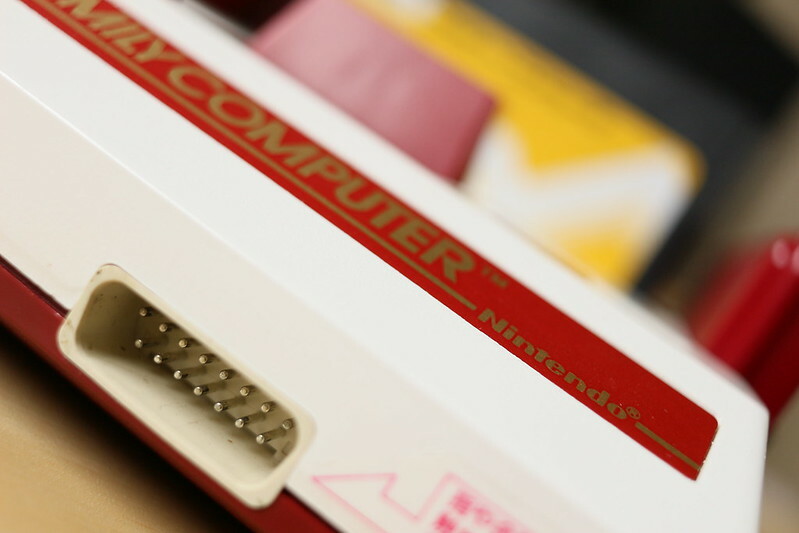 It's why I doubt it being Famicom compatible, even if it's physically the Famicom connector.